If you're working this afghan in the size that I did, this section is your 1/2 way point. It is always a great feeling to bet here and know that you're so much closer to completing your project! We are just working the Zig Zag stitch again though I chose to keep this center section my neutral color to keep the blanket equal. I know you're a pro at this stitch so let's jump right into it! Wow! Is your summer flying by fast like mine? Can you believe that you're just about 1/2 way finished with a full sized afghan? I am so glad you decided to join me! 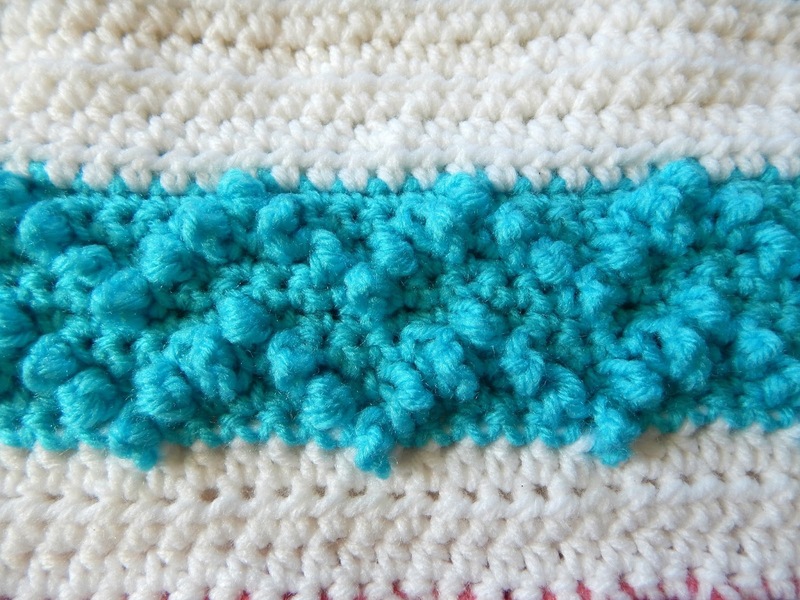 This week, I'm introducing you to the last new stitch in our A Zig and A Zag crochet - a - long. This is the Zig Zag Double String stitch and it's another quick one to work. I chose to work my section in a single color. It would be great in different colors too, so have fun with it and be creative! 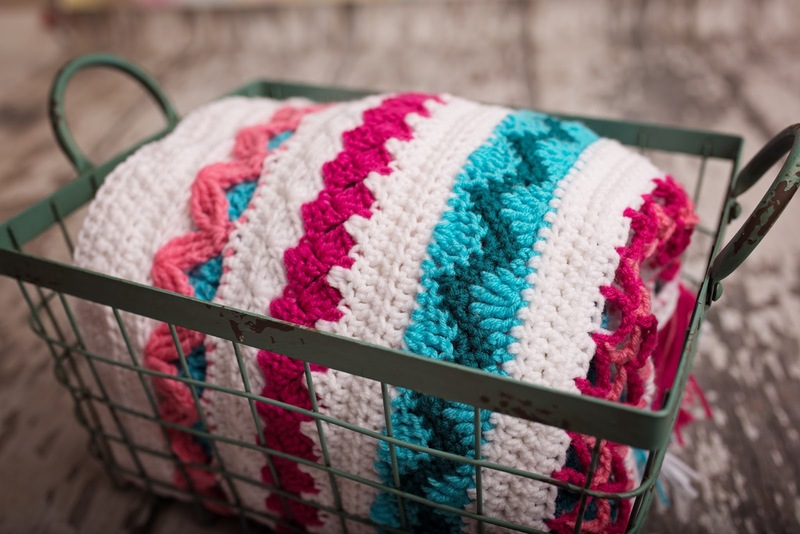 After this section, you are welcome to complete your project on your own with the stitches we've learned to make it completely your own OR you can continue to join me each week as we work the sections back to the beginning to have a balanced afghan. Give yourself a pat on the back for all your hard work to this point, grab your yarn and crochet hook and let's enjoy this new stitch together. Can you believe that we're already on week 5? 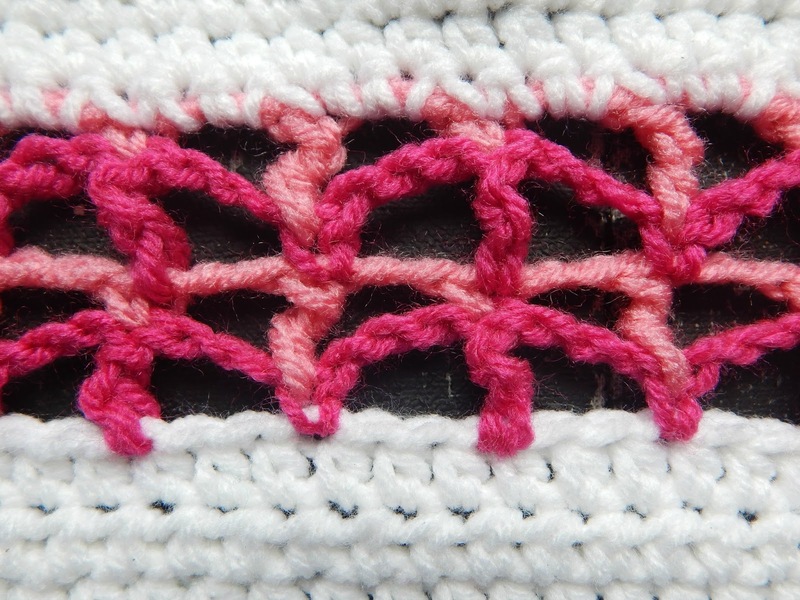 I hope you have enjoyed the crochet stitches so far! 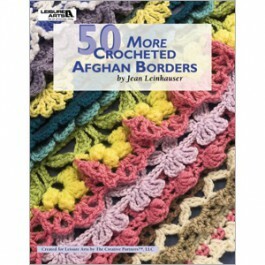 This week, we're going to add some texture to our afghans by using a simple combination of treble and single crochets. Welcome back! I hope you all had a wonderful week filled with lots of yarn and crochet time. This week we will be adding the Triangle Mesh crochet stitch to our afghan. 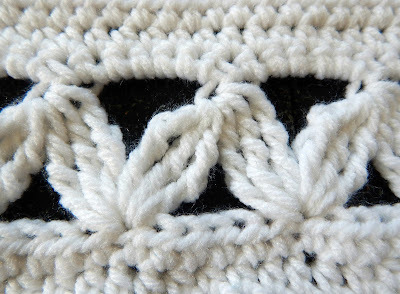 This stitch is a quick one to work up since it's more open than the others we've worked. Welcome to week 3 everyone! I hope you had as much fun with the Brick Stitch as I do when working it. 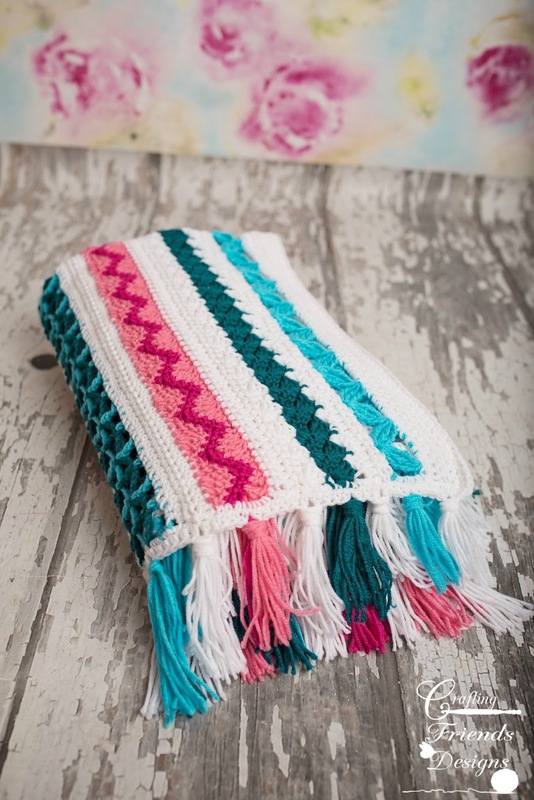 It's kind of an addicting stitch! Thank you to all those who are sharing your progress photos with me on Facebook and in projects on Ravelry. The colors you've chosen are all looking great! This week, we'll learn the Wave & Chevron stitch. 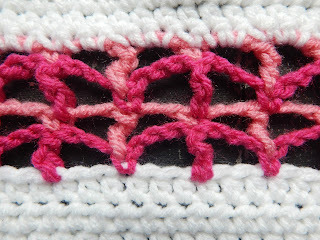 This stitch can form a couple of different looks when switching colors on different rows. 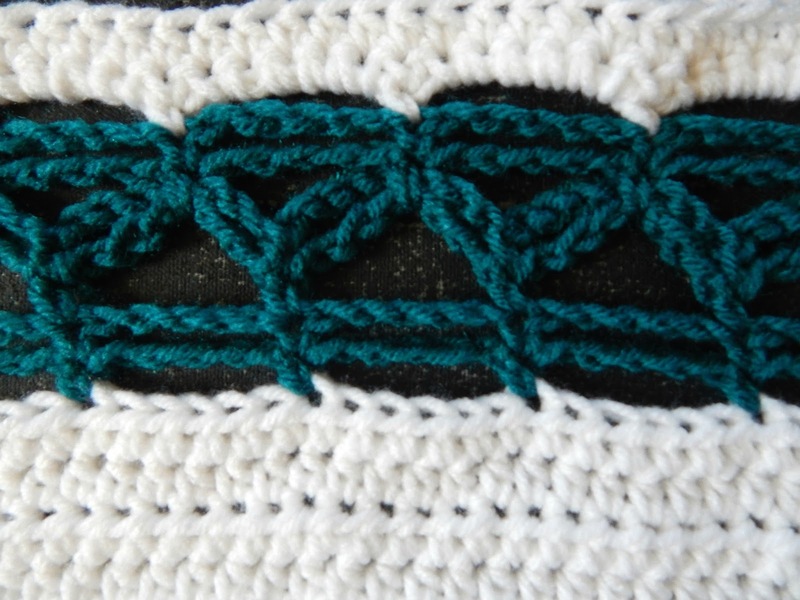 I wanted to show a simple chevron by using a darker color on the smaller stitch rows. 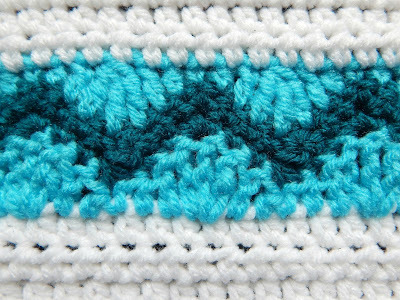 If you were to continue working more rows of this stitch on a different project, you could have a really fun wavy pattern by switching colors on different rows.